Head bowed and the slow shuffle over towards me, the A4 page is folded more times than I thought was physical possible. “Here’s my food-log for last week” they say to me sheepishly. I remain poker faced as I slowly unfold the page. My eyes scan over the food-log and my expression gives nothing away. “So….” I begin. I follow with a long pause, purely to build the dramatic effect. They look up at me through a dipped brow, sad puppy dog eyes that would melt Elsa’s heart. “So…….. Some real positives in here” I respond in a more positive upbeat tone. “Yeah, you added more protein”. They start to smile. “You cut out some of the crap on Saturday”. They stand up straighter. “And you managed to add fresh veg to 4 of your dinners”. Cue the pulling back of the shoulders and the now proud posture. They walk away happy, enthusiastic and eager to improve for next week. This is the way a food-log should be analysed. It should be a positive process orientated approach rather than the normal negative experience. Here are 3 Tips to help keep a good Food-log. Track EVERYTHING! The good, the bad and the ugly. Write it down. Be honest about it too. Keep it close by. 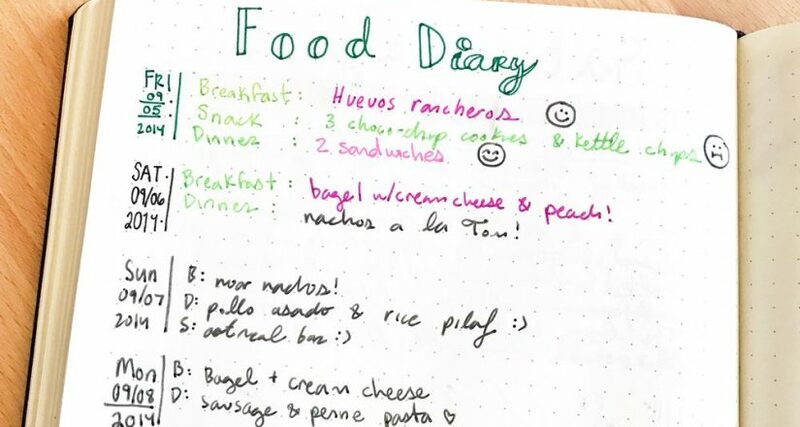 Be it on an app, notepad or an A4 page; fill out your log as you eat. Often our recall can be slightly off, so you’re better off doing it in the moment. Review it positively. Stop being so hard on yourself for those bad few meals and ignoring all the good parts. Sure, there will always be room to improve. But focus on what’s working and what further improvement you can work on next week. Turn a more rewarding light on it and be proud of your on going success. If you feel that you could use some help with your food-log and nutrition is the big area you need to work on, you may be interested in our Semi-Private Coaching.